What is your gross monthly revenue? What’s your Adwords PPC budget? 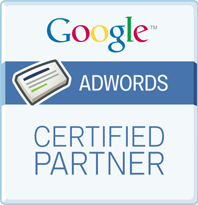 Briefly describe the results you want to achieve with your Adwords. Everyone wants “better” ROI from Google AdWords. Who doesn’t? It’s kind of like asking: Would you like to win the Lottery? But that’s the wrong question to ask you. Do I have the most up to date expertise required to get the most out of AdWords? Do I have the time to manage and optimize the account on a regular basis? Is my time better spent elsewhere in my business other than working in AdWords. If you answered “No” to ANY of the three questions, and want to vastly improve the ROI from your AdWords account, now is the time to act. Figure out a baseline ROI if you are not tracking exact results already. We cut out wasted spend to quickly improve ROI without sacrificing sales (this typically pays for the entire program 5-10x over). We continue to optimize and improve the account over the next 30 days. At the end of the 30 days we compare your leads, sales & ROI vs. how the account was performing prior to our management. There is no requirement to continue with us past that (although 90% of people do because they see so much value. You get 100% of your money back if you’re not thrilled with the results).